This soft and effortlessly gorgeous bridal hairstyle really draws attention to the eyes and keeps long hair tamed during a summer wedding. Teamed with a flawless complexion and soft pink blush, these beach babe curls look amazing. To get the look, section the hair off from ear-to ear and tie the top into a knot ready for later. Take the lower section and tie it into a bun at the back of the head, securing it with pins. Then take the top section of the hair and create some beach waves with a curling tong. Twist and fix it with spray to set the curl. Take the curls and secure them around the bun at the back, making sure to leave a loose curl to frame the face and that the bun is concealed. Try it… How does it look? 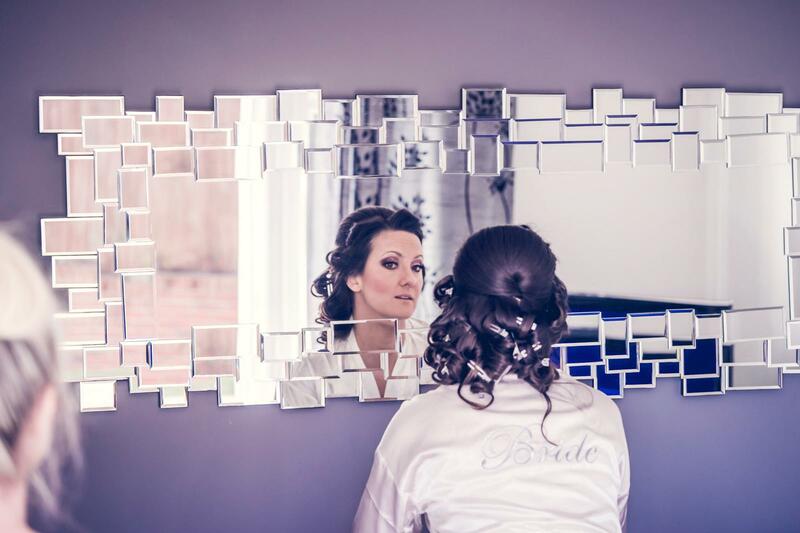 *I did the makeup on this bride, and a bridal hairstylist did the hair.